Almost looks like a bad cropping job on those trees. Truth is, that's for real. A few steps beyond our backyard fencing, and behold - grouped fields of green grass. Its beautiful in its own way. We used to play football in these fields a long time ago. Now it's mostly between sowing and harvesting crops. It was a calm feeling standing there. I'd recommend an occasional visit to green spaces. They can do wonders for you. 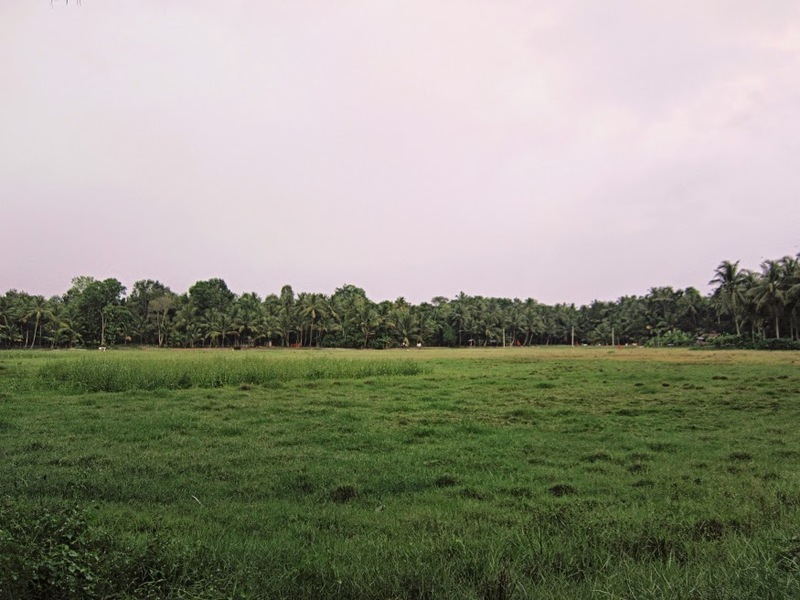 Evoor, Kerala.